If you are looking for reasons why you should consider climbing with us instead of another service, please read what our guests have to say about us. Their experiences with us should be your best reason. "Marty, I want to thank you for all you have generously contributed to my staff over the years. Without which we would not be where we are today - that is meant sincerely. 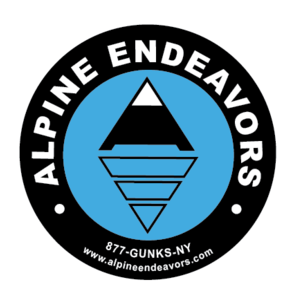 "I have worked with Alpine Endeavors & Marty Molitoris since 1998. "Marty, The kids had a great time, with Bob. Tessa already requested Bob for next year! Kind regards,"
"Marty - I would like to thank you and the rest of the team for an outstanding day! The instruction, climbing and the professionalism was truly first class. Best Regards - P.G." "Thank you so much! We really had a great time...Jon and Ian are great guides! Remember to teach our methods of getting down the mountain when you bring out your next group! Hahaha. Theresa & Johnny"